St Albans Cathedral is probably the oldest Christian site of continuous worship in England. The cathedral stands on or near he place where a Romano-British man named Alban was executed for his faith at the end of the 3rd century AD. A later shrine became a place of pilgrimage, and an important medieval monastery grew up around the saint's shrine. The abbey church was raised to cathedral status in 1877. The cathedral contains a marvellous mix of Saxon, Norman, medieval, and Victorian architecture - and bricks from the Roman town of Verulamium are incorporated in the exterior walls. 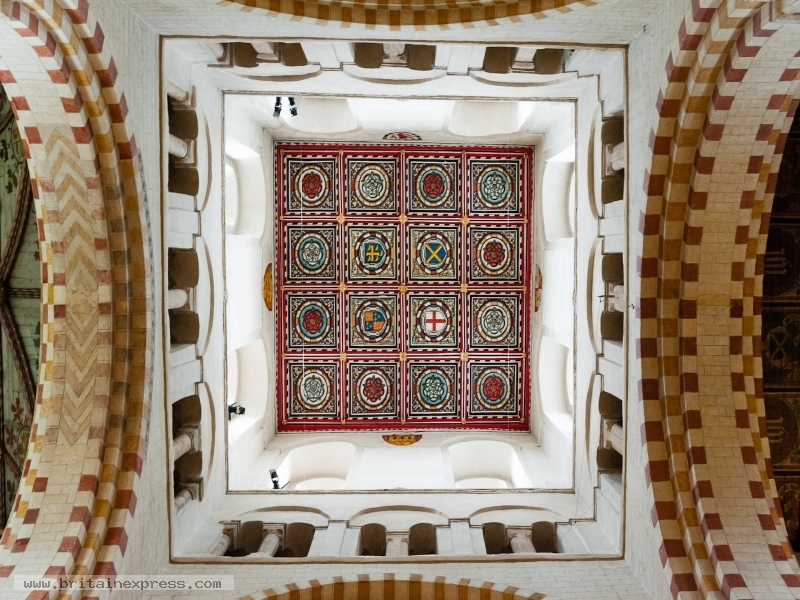 This view is looking straight up into the tower from the crossing.